Our single arm or double arm steel lamp poles as normal cover by Mat or straw bale at the top and bottom ,anyway also can following by client required , each 40HC or OT can loading how many pcs will calculation base on the client actually specification and data. 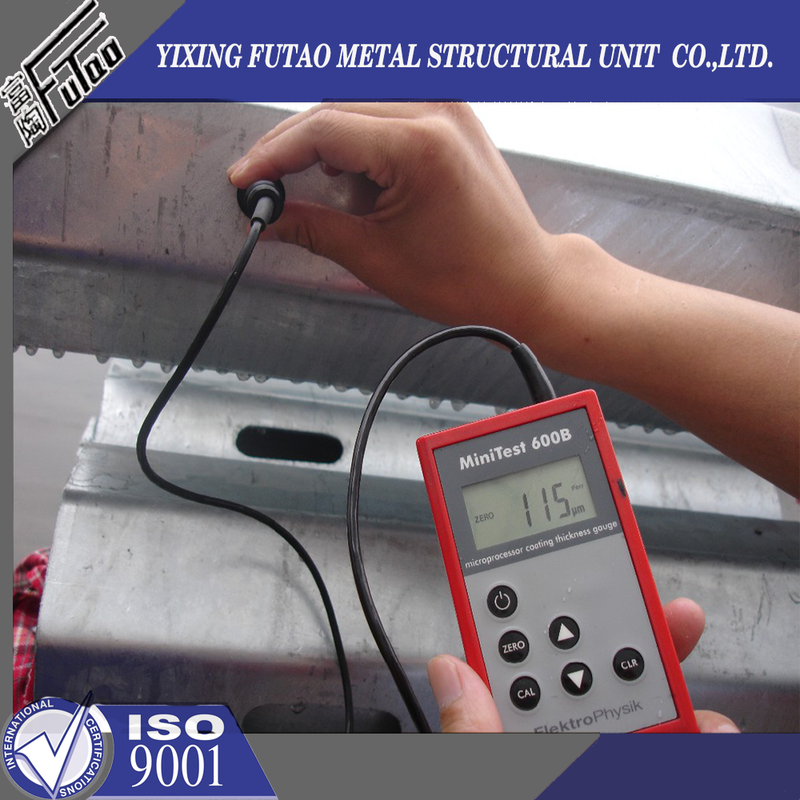 Yixing Futao Metal Structural Unit Co. Ltd. is com manded of Jiangsu Futao Group. It is located in the beach of scenic and rich Taihu Yixing with good transport service. 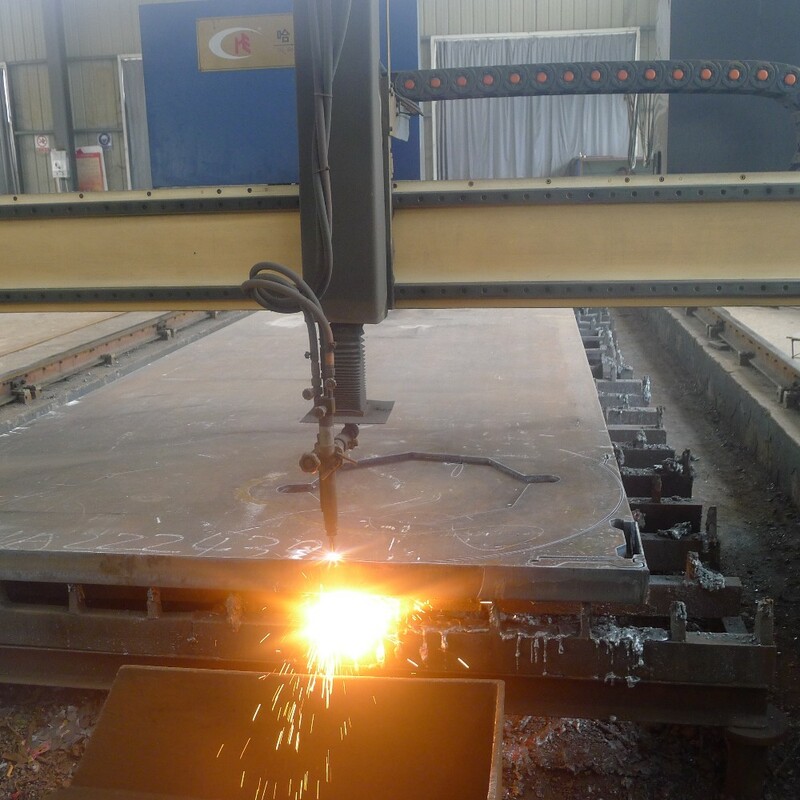 The company is well equipped with advanced manufacturing facilities. 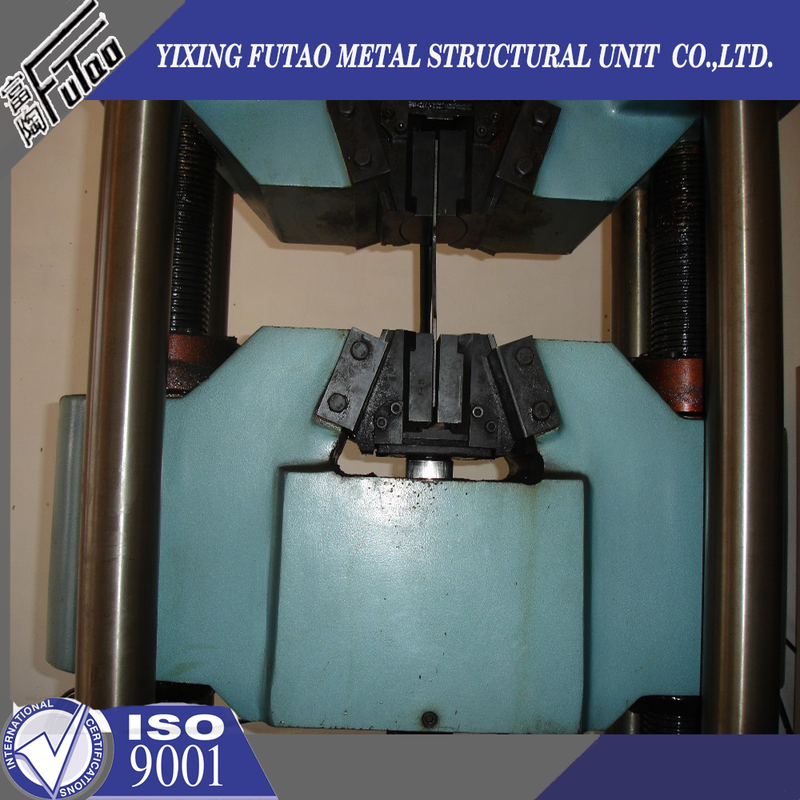 We own a large-sized numerical control hydraulic pressure folding machine with once folding length 16,000mm and the thickness 2-25mm. 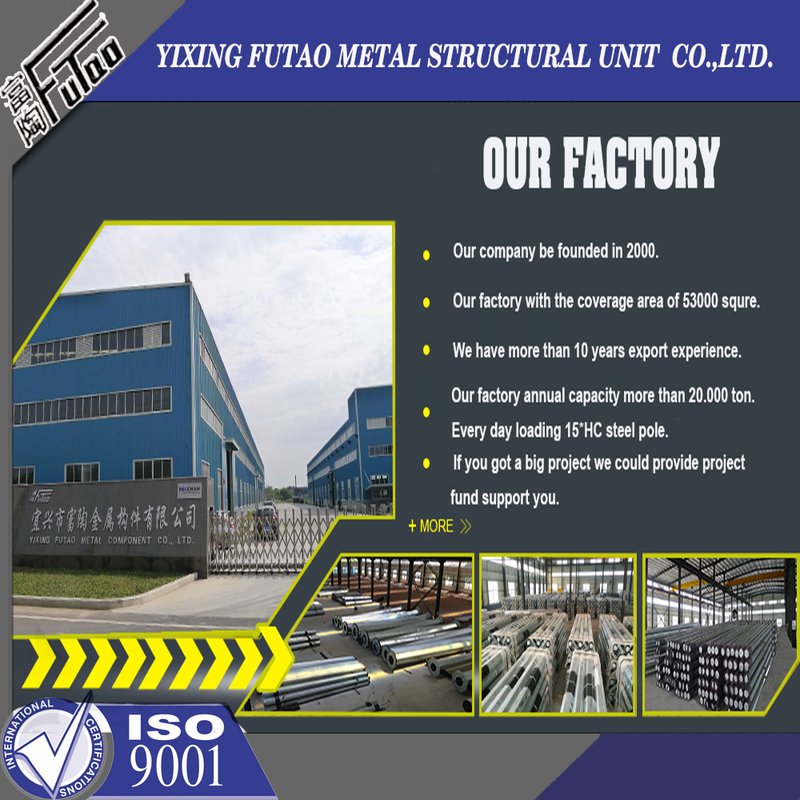 We also equipped with a series of numerical control conveyor systems of flattening, cutting, folding and auto-welding, we could manufacture all kinds of steel poles and steel towers. 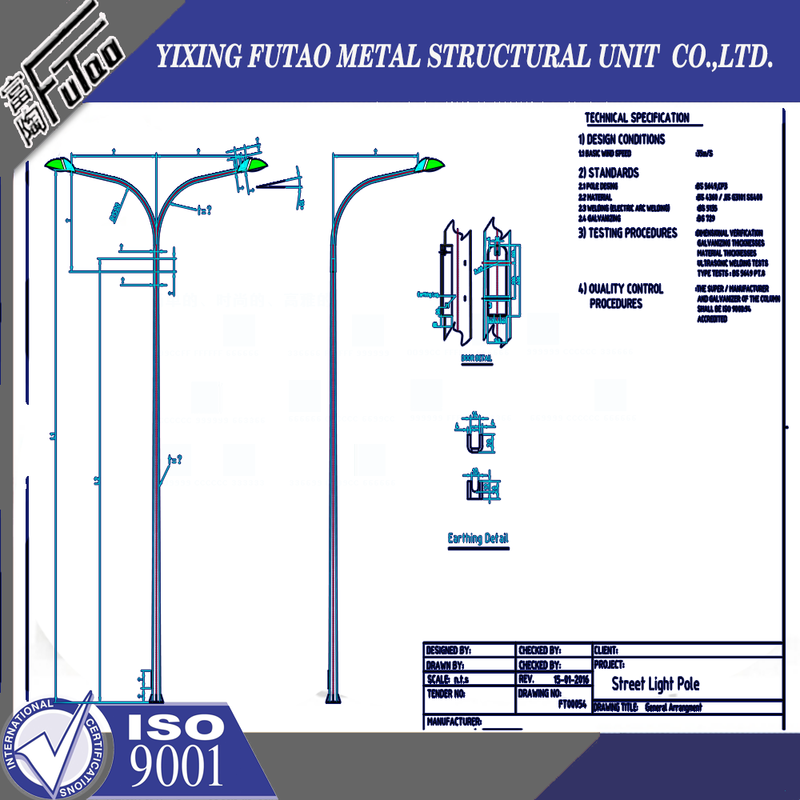 Our main products: high & medium mast lighting, road lighting, power poles, sight lamps, courtyard lamps, lawn lamps, traffic signal poles, monitor poles, microwave communication poles, etc. 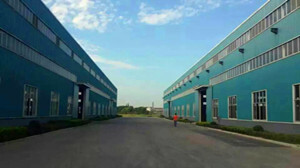 Our manufacturing process has been ISO9001 certified and we were honored with the title of the AAA grade certificate of goodwill"
So we know the demand of different countries and different customers. 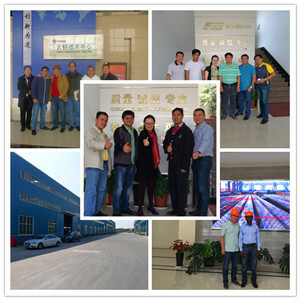 We are greatly honored to invite you to visit our factory and cheerfully look forward to cooperating with you. 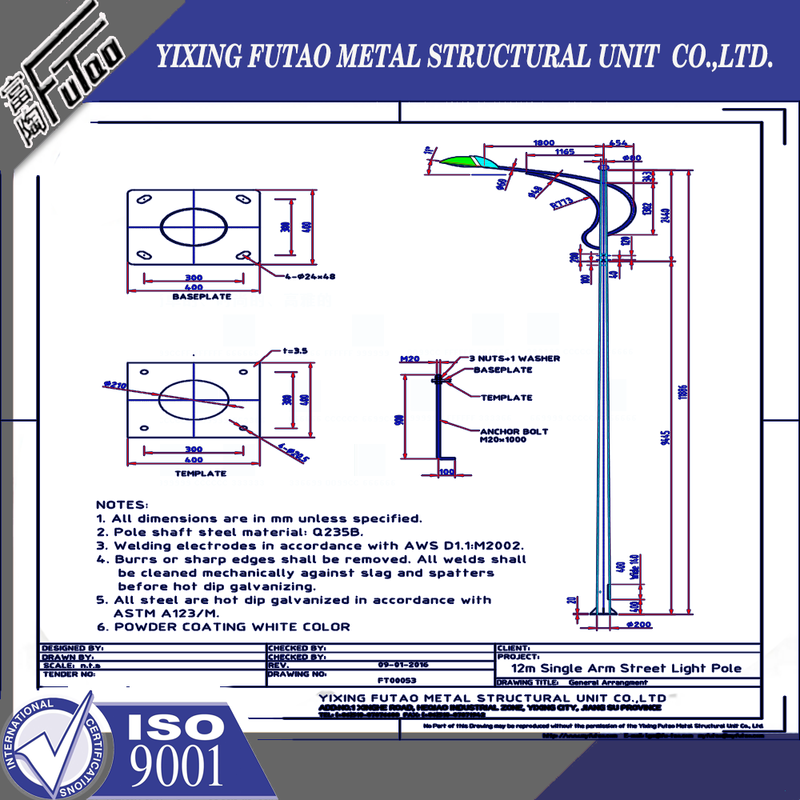 Yixing Futao Metal Structural Unit Co. Ltd. is com manded of Jiangsu Futao Group. 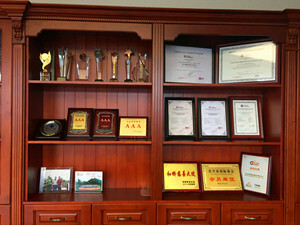 It is located in the beach of scenic and rich Taihu Yixing with good transport service. 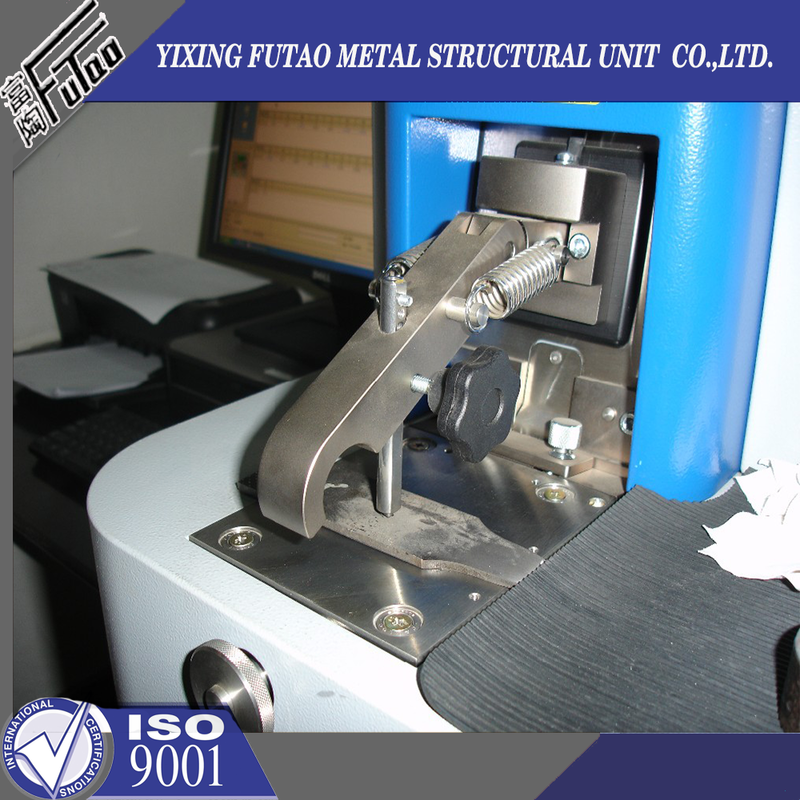 The company is well equipped with advanced manufacturing facilities. 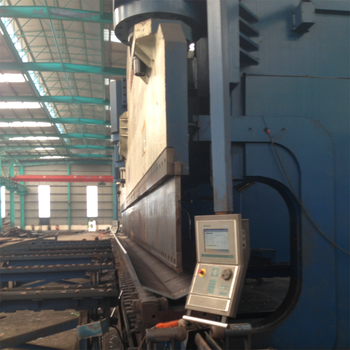 We own a large-sized numerical control hydraulic pressure folding machine with once folding length 16,000mm and the thickness 2-25mm. 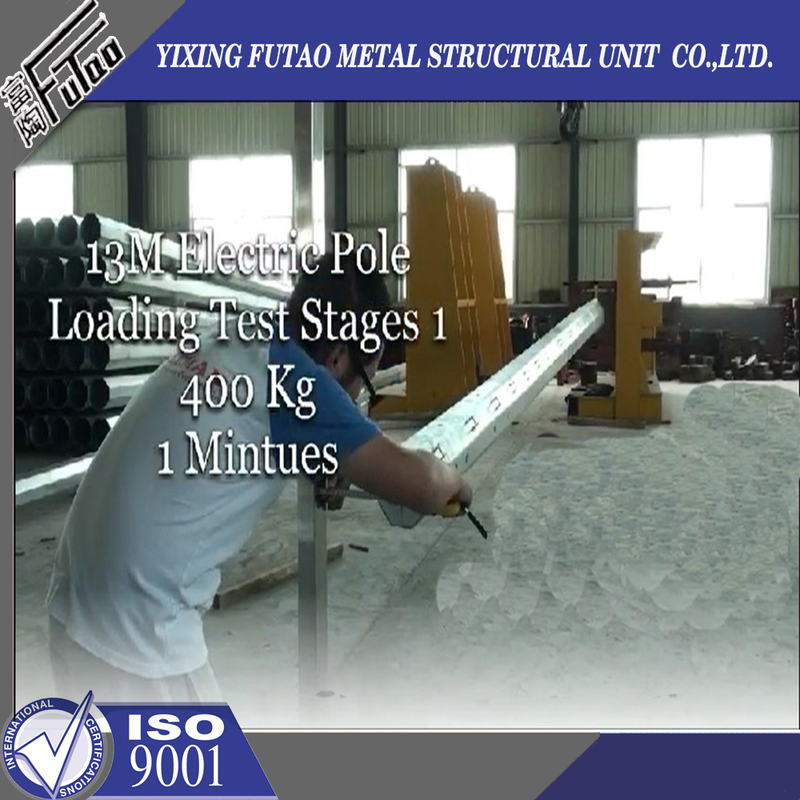 We also equipped with a series of numerical control conveyor systems of flattening, cutting, folding and auto-welding, we could manufacture all kinds of steel poles and steel towers. 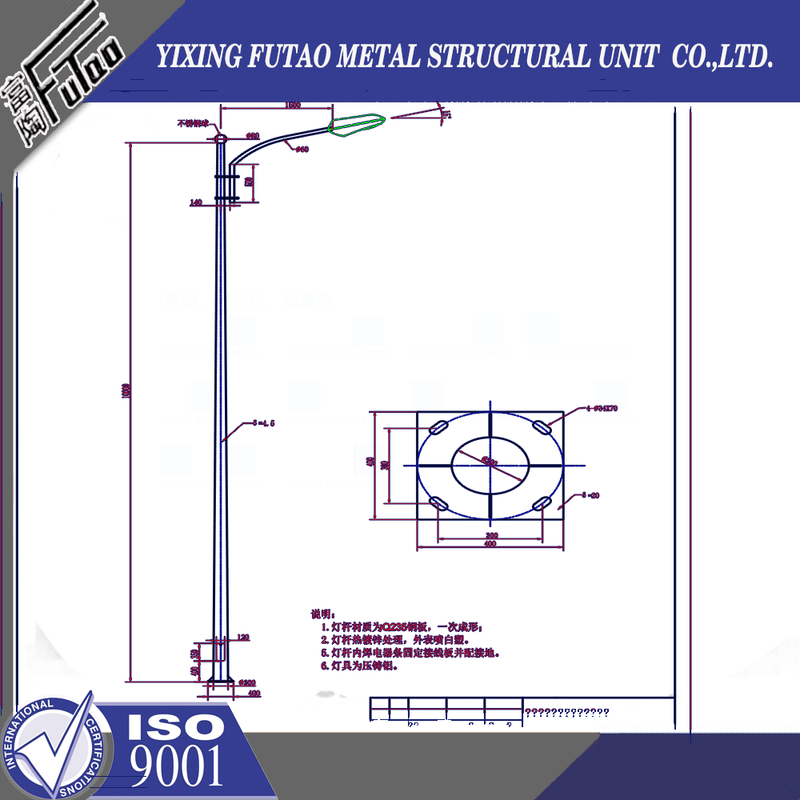 Our main products: high & medium mast lighting, road lighting, power poles, sight lamps, courtyard lamps, lawn lamps, traffic signal poles, monitor poles, microwave communication poles, etc. 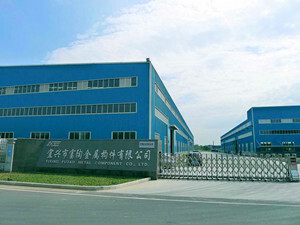 Our manufacturing process has been ISO9001 certified and we were honored with the title of the AAA grade certificate of goodwill" Presently 95% of our products are far exported to Europe, America, Middle East, and Southeast Asia, and have enjoyed great reputation from our customers, So we know the demand of different countries and different customers. 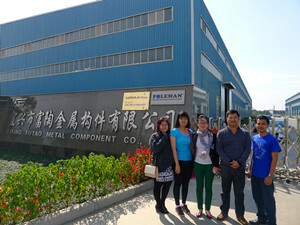 We are greatly honored to invite you to visit our factory and cheerfully look forward to cooperating with you.